Photo by Evan Bevins Multiverse Comics owner Mick Williams stands in the entryway of the business where a variety of art, including original pieces by local artists, is on display and for sale. 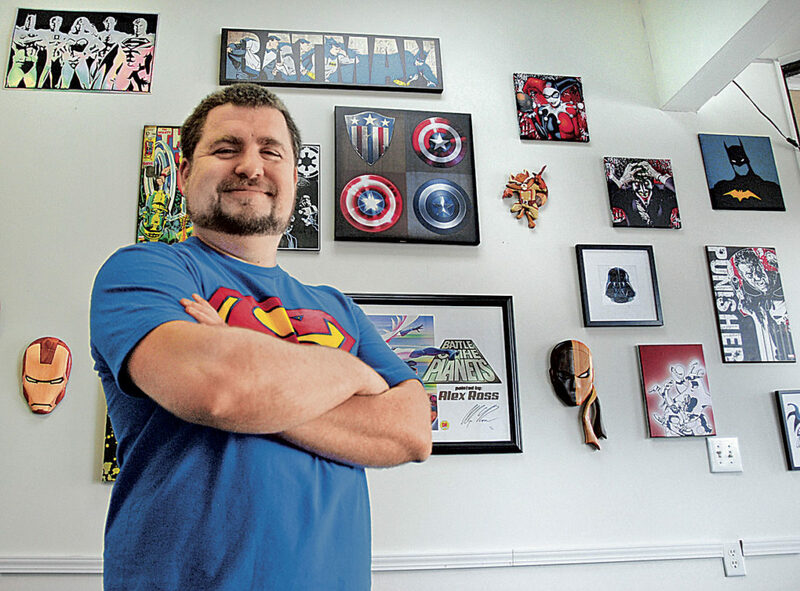 The comic shop opened Aug. 1 in the SouthGate Center on Pike Street in south Parkersburg. Photo by Evan Bevins Multiverse Comics owner Mick Williams sorts comic books at his store in the SouthGate Center on Pike Street in south Parkersburg. Williams said he loves older comics and will help customers track down issues they’re seeking. Photo by Evan Bevins Williams still has the first comic he ever got, “DC Comics Presents” #92, given to him by his grandparents. 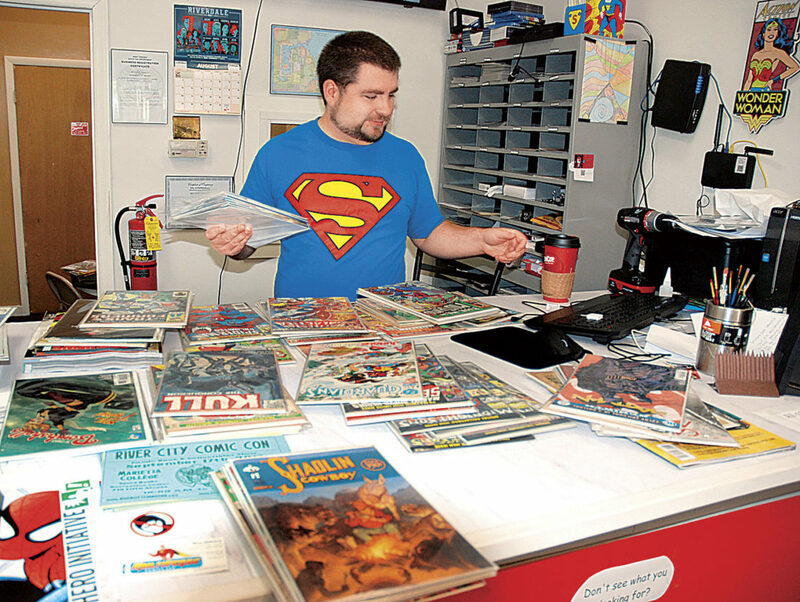 PARKERSBURG — Mick Williams drew from his personal collection to stock the shelves with older comics at Multiverse Comics, his new business that opened Aug. 1 in the SouthGate Center shopping plaza. 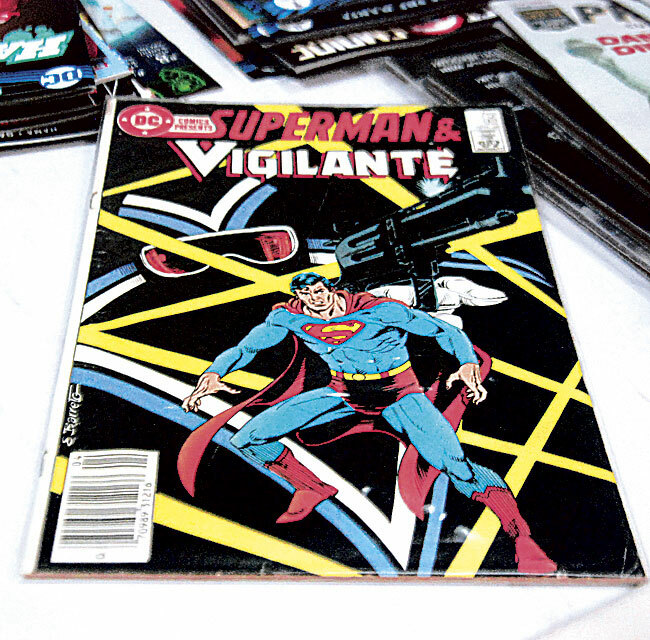 But there are some he won’t part with, including “DC Comics Presents” #92, featuring Superman and the Vigilante. It’s not a particularly rare or valuable collector’s item, but it has personal significance for Williams — it’s the first comic he got, given to him by his grandparents to keep him from “getting rowdy” in church. “I have been collecting comics since I was 4 years old,” he said. When the place he’d worked for 10 years shut down earlier this year, Williams decided to put his passion for comics, role-playing games and cosplay to work. “Even though it’s probably one of the most complicated stories to understand … it’s probably one of the most important,” Williams said. 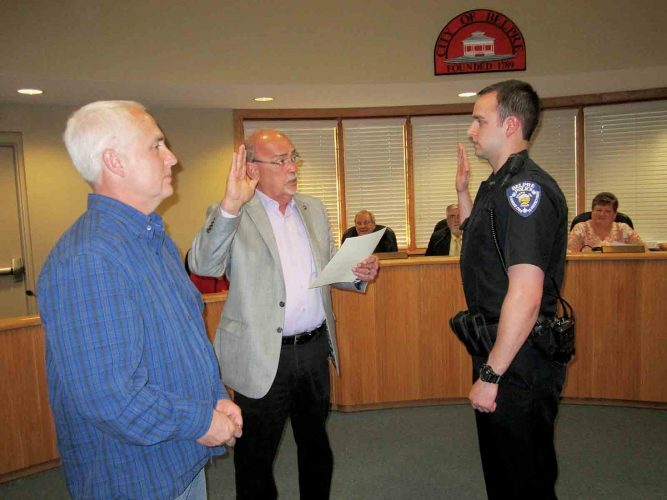 The fact that there are three other dedicated comic book shops between Wood and Washington counties, plus other pop culture-oriented businesses, doesn’t intimidate Williams. 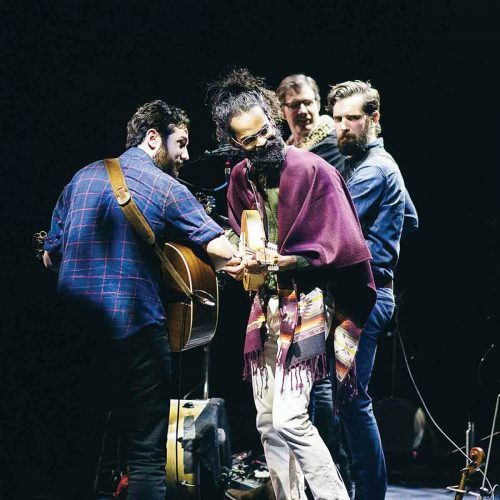 “We all do something a little different,” he said, noting they’ll even refer customers between each other if one has something another doesn’t. While Williams carries popular current comics from Marvel and DC, he said he also highlights independent and smaller publisher titles. He’s buying and accepting trades of comics, and will also let people sell items on consignment. In addition, Williams said he’ll work to help people track down older issues they’re looking for, even if they can’t be found in his back issue boxes or shelves. When he goes to comic conventions, Williams takes with him a list of comics to track down for customers. Those shows are also where he got the idea to provide products and services at his shop relating to cosplay, the popular pasttime of crafting and wearing costumes of comic and other pop culture characters. At some shows, Williams and his partners in Hoods for Hire — a comic appraisal and cosplay support service — would bring a “generic villain” costume and offer to pose for pictures with attendees dressed as heroes. “That grew into, well OK, we know how to do costumes, we know how to do props,” he said. The shop carries Worbla Thermoplastics, which are used in casting for costumes and props, as well as various other supplies. Williams will also offer tips, guidance and assistance with costume-building. Multiverse sells prints and other pieces by local artists. The shop also carries games, including Knight Models DC miniatures and the Modiphius Conan and Star Trek Adventures roleplaying games. There’s a game room in the back where people can schedule gaming sessions at no charge.